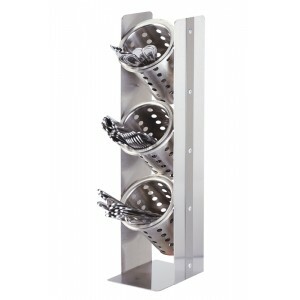 Urban Cylinder Display - Cal-Mil Plastic Products Inc.
Showcase your condiments or flatware with this space saving, Urban Stainless Steel Cylinder Display! Featuring brushed stainless steel with dramatic rivets, this cylinder stand is both trendy and useful! Optional Cylinders available in 6 colors!